As I’m sure you can tell by the lack of posts on the blog, I was pretty busy in the end of Feb. and most of March. The last trip of the season was a good one. I made the first ride with my brother and the last with my Dad. 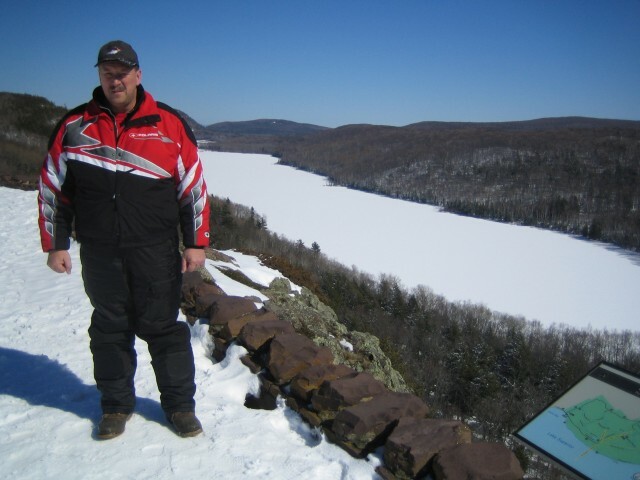 We rode from Presque Isle Wisconsin to Bergland Michigan to pick up one of the sleds that was being worked on. Along the way we stopped by The Fisherman to get the famous walleye breakfast. After a hearty breakfast we headed up the lake to town and stopped by the dealer to pick up my sled. 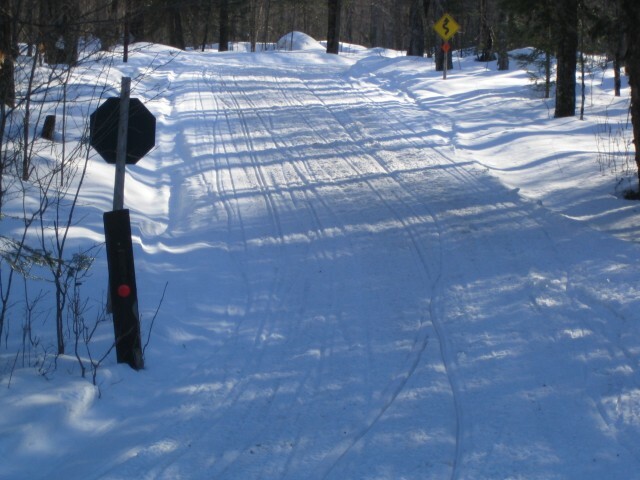 The trails were in pretty good shape, with a few bare spots here and there. The temp was around 45 all day. After picking up the sled we got gas at the hoop n holler and then headed out of town to trail 102 and then took trail 11 to Silver City. These trails were in beautiful condition until we got within a few miles of Lake Superior. We rode up to Lake of the Clouds and were the only people up there on a Saturday afternoon. Then we headed down the hill and planned on going to The Foothills but after a mile or so we realized that we weren’t going to get very far on that trail. The whole thing was mud with no snow in site. We gassed up and headed back the same way we came. The ride back was just as awesome as the ride up. The closer we got back to Presque Isle, the worse the bare spots got. We stopped into Skyview Lodge and met our wives there for dinner. After dinner we headed back to the cabin and put the sleds away for the last time of the season. This was one of the most fun seasons I can remember in a long time. I put on a lot of miles with friends and family from all over. I’m already looking forward to next season! 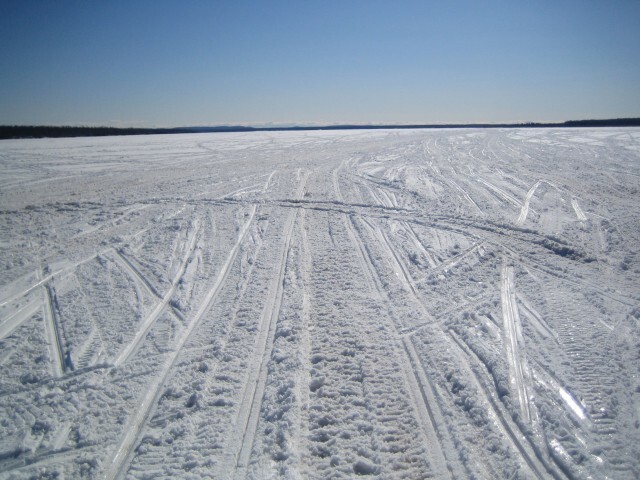 Until the snow flies next season……..I’ll be gone fishin! 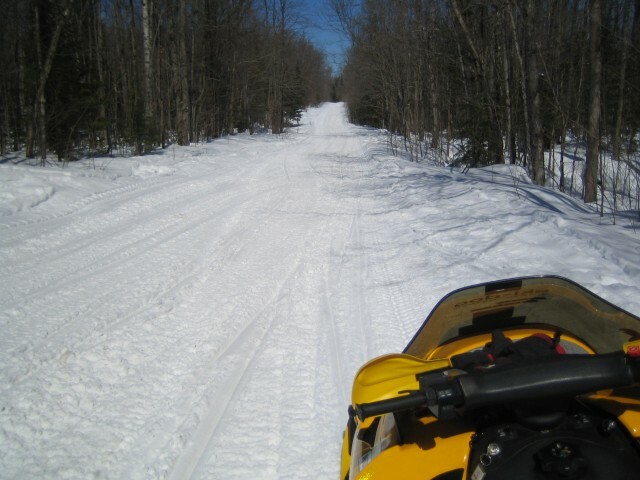 You are currently browsing the Snowmobile Trail Conditions blog archives for March, 2006.